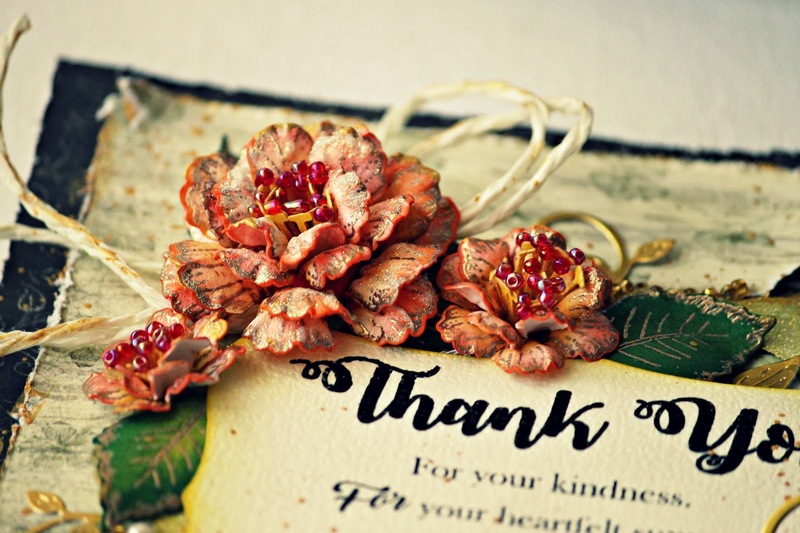 Hello my friends, we are gearing and nearing to Christmas and with all the cards and projects around the world I find extremely tempted to make one. I loved making this projects with Cheery Lynn dies and this time I have used the smallest die to create a card. Below is my card to share with you all today. 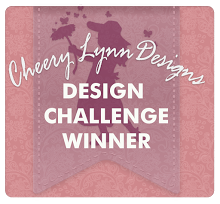 This card is inspired by Cheery Lynn Challenges and also Card Concept. I love using Cheery Lynn dies and so this time I did not use any big or major flower die. 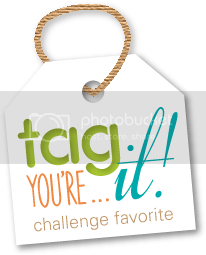 I am entering this card for 2 below Challenges. 1. 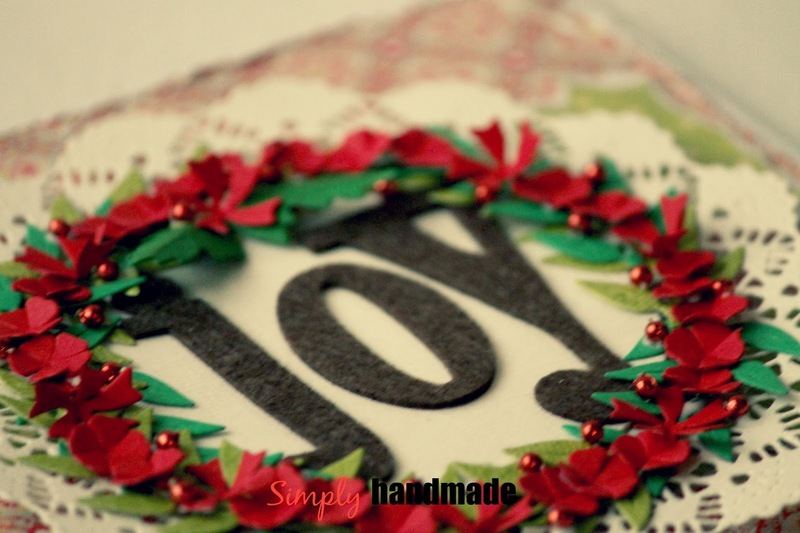 Cheery Lynn #244 Red and Green Theme. 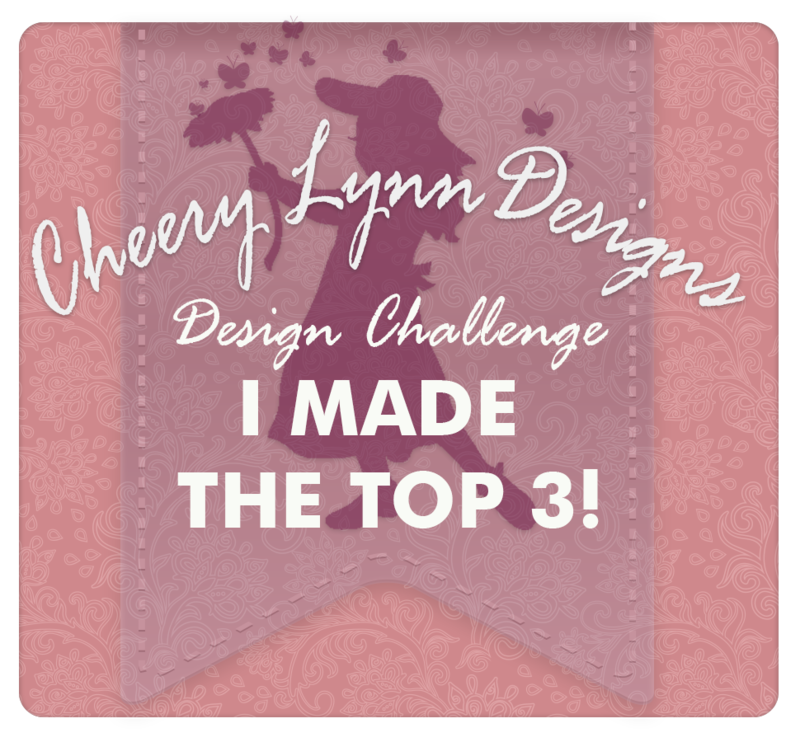 Used 3 different Cheery Lynn Dies for this projects. Red Green and Christmas what could have been a better than a Wreath. 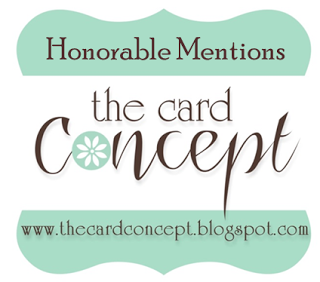 I thoroughly enjoyed creating the card. 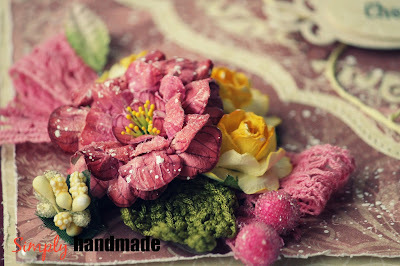 Also as you note I have used very small flowers for the center piece. 2. 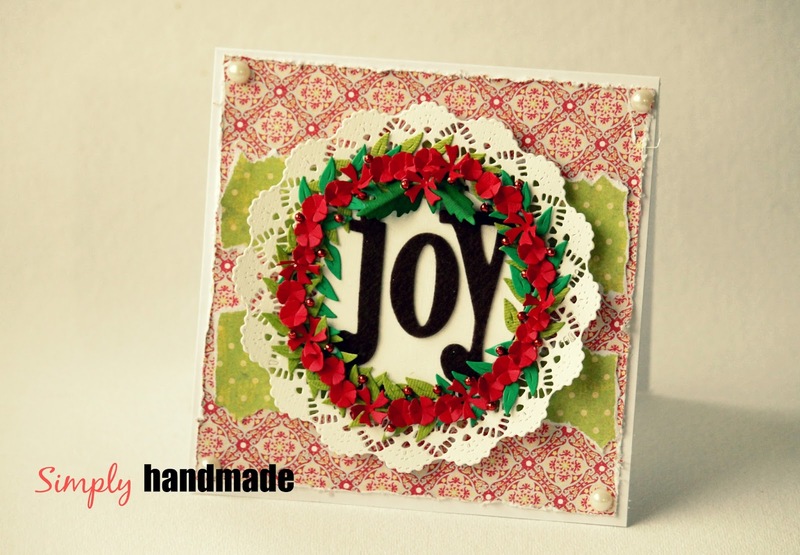 The Card Concept # 63 Love and Joy. 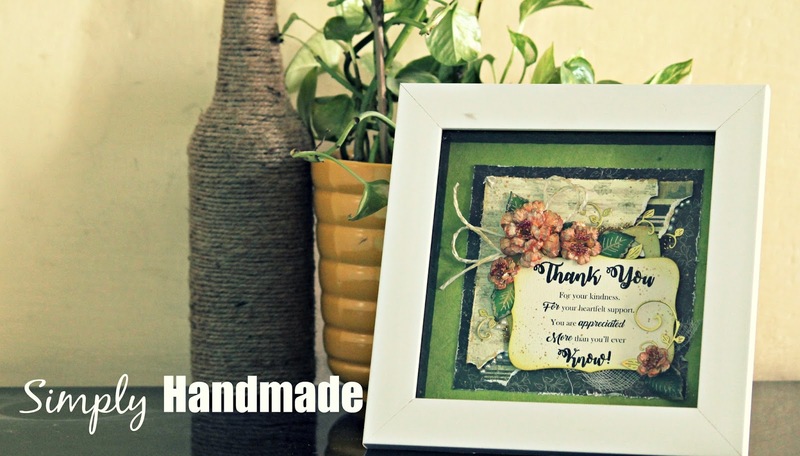 The picture completely inspired me, I have picked up few elements from the photo for my card. 1. I used the Red and Green theme. 3.The Word JOY up on the wall. Do let me know how you like it and share your comments. 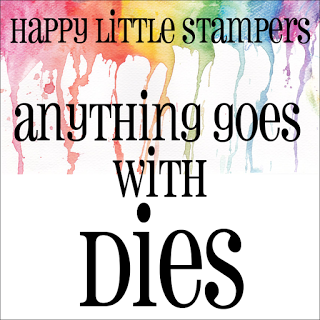 Hello friends, today I am at the Happy Little Stamper Blog for " Anything goes with Challenge"
Dies are fun element to work with as you can create endless possibilities. Off late I have been creating background using dies one of which you can see here. Many more will be uploaded soon. So in today's post I have used all heartfelt Creations Product and created a layout which is later framed as Desk Decor Piece. 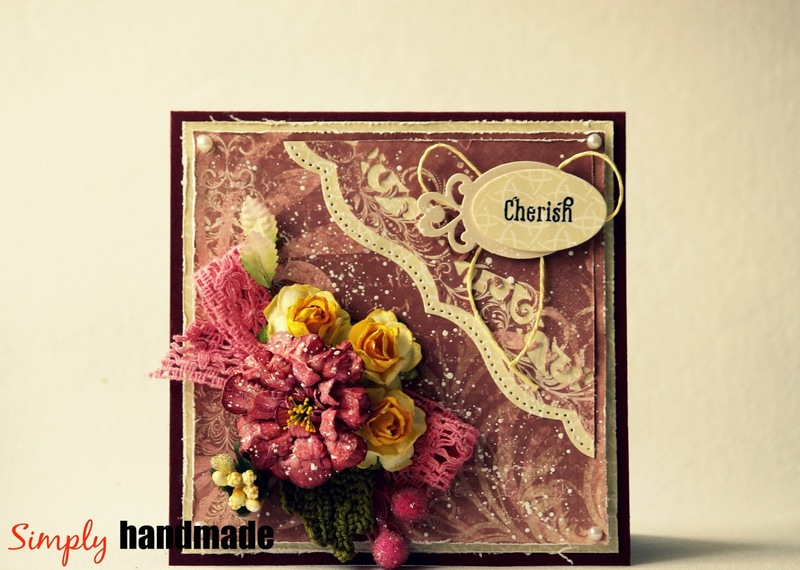 The flowers are gold embossed and then colored with distress ink and finished with glitter gloss. The complete layout is 7x7 inches which after framed is little large, There are various small elements that I have added. After Frame it looks something like this. Hello Friends, today this blog is dedicated for a very special post. 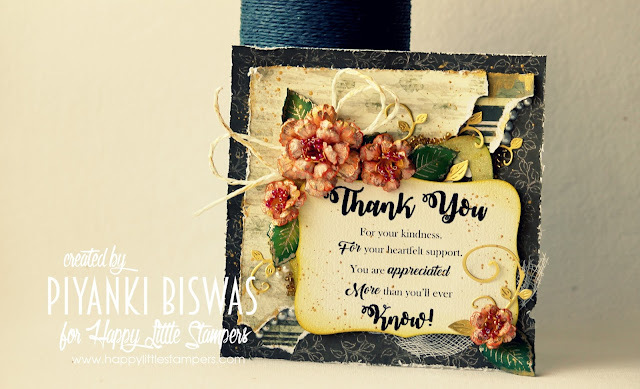 I am sharing a card using the products I bought from Itsy bitsy over a period of time. 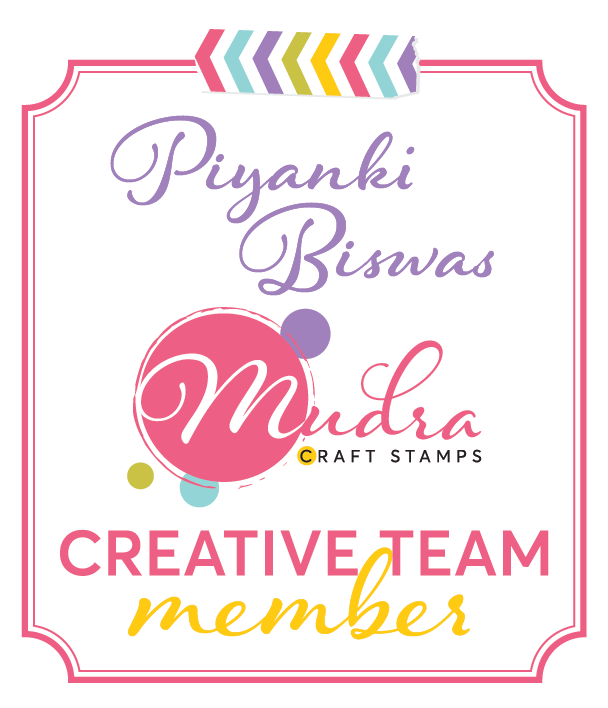 Also some products they have gifted me to share a review post. 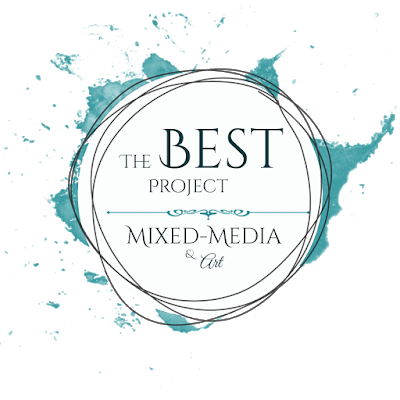 So without much talking lets quickly get into the project. 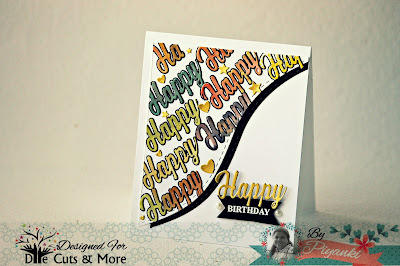 I have the step by step direction for this card on the itsy bitsy blog HERE. 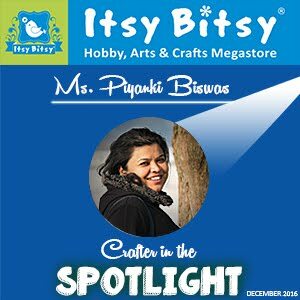 Its a very short post for today however I would also like to thank Itsy Bitsy for recognizing my work and featuring me as the " Crafter in the Spotlight". 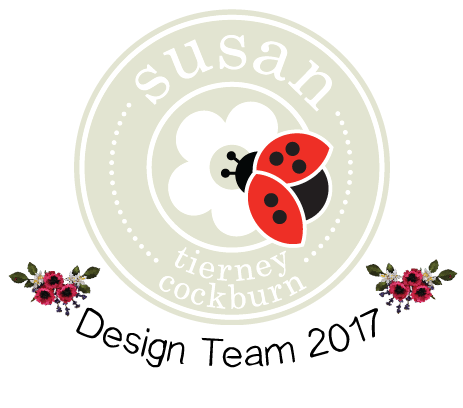 Hello Everyone, I am here today with projects for DCAM this months Challenge " Anything Goes with Dies". 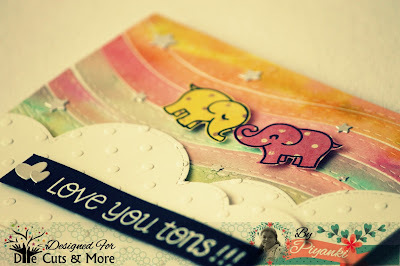 I had fun using the border dies and I am making some background using the dies. This card is a 5.5 X 4.25 and has a double layer panel. I have used the word Happy from the Diwali Dies Set and die cut many of the word Happy . Later I colored each word using distress ink. Cut a white CS using the DCAM Border Die and then lined up the Happy works at regular Intervals. Also used a Black inner lining for the panel. 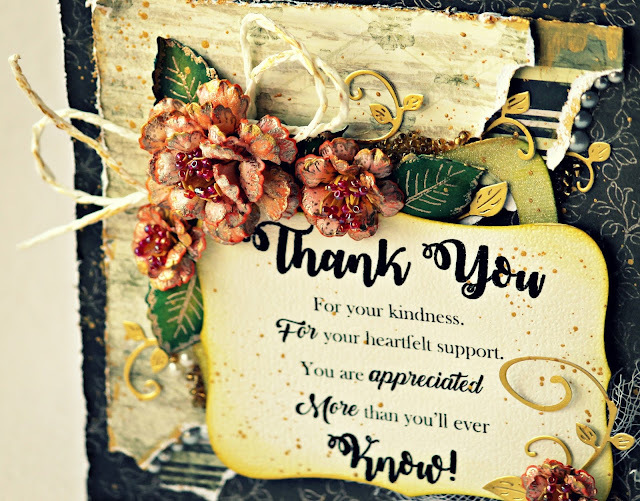 Cut a Happy word using a Gold foil for the bold look of the sentiment. Die cut some Hearts and starts and stuck in between of the each of the words. 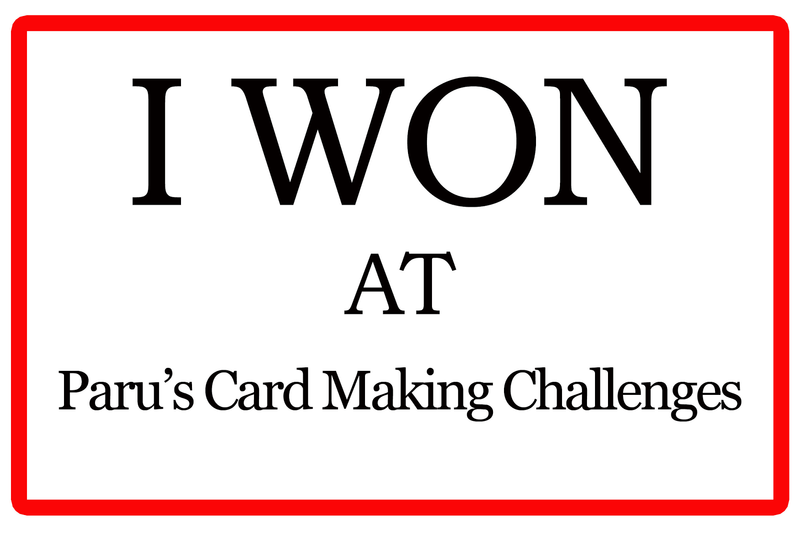 My Second Card is a fun one and I completely enjoyed while working on it. I used a Water Color paper and using Distress ink colored it all through. Used the border stitched die and die cut regular strips . later adhered all the strips one after the other on a white Card based. 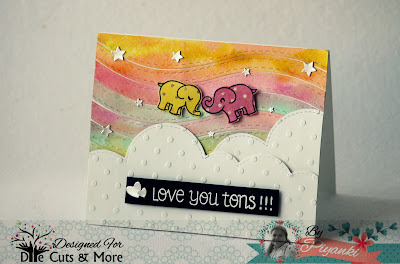 Used the Cloud Border dies and dry embossed it and then die cut using the cloud border die. Later added the Cloud die cuts at the border. Used Lawn Fawn set for the cute elephants and the sentiments. Added the silver start for to add a spark. So here's how I have used the dies to create the background. 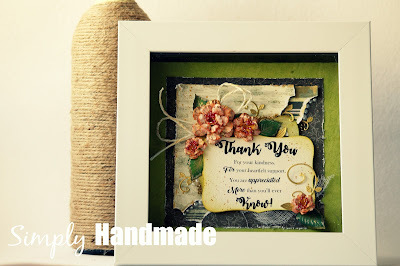 Its a fun technique and all should give a try to create your own unique background using any dies that you have.